Bloomington, Ind. – Mayor John Hamilton was joined by Axia CEO Art Price to announce the City and Axia have signed a Letter of Intent (LOI) to develop a city-wide, open-architecture Gigabit-class fiber optic broadband service in Bloomington. “I believe with Axia we have found a partner committed to these same goals, willing to work with us to build and operate a future-oriented, competition-supporting system in our community,” said Mayor Hamilton. Axia has developed fiber optic communications infrastructure in Canada, the United States, France and Singapore. In Axia’s business model, fiber infrastructure is available to anyone and is shared across the full market. Axia offers reliable, scalable services delivered over high-performing, fiber networks that are designed to meet every need of their customers which include residents, businesses, carriers, and web service ecosystem providers. Axia is exclusively in the internet connectivity business and does no participate in the voice, video or mobility sectors. Major trends in the communications industry are driving the need for open access fiber networks, including demand for high-performing digital connectivity, the growing number and variety of network connected devices, growth in demand for wireless data services and growing use of video and other applications from leading web services providers. Axia will complete a detailed engineering analysis, projected by the end of March, to plan and design the build-out of the fiber network. With a positive conclusion to that step, Axia will conduct a no-deposit-required “expression of interest” campaign to determine the level of resident and business interest in the planned service. Upon reaching a 40% level of expressed interest, Axia will commence construction and operation of the network, which is expected to include an investment of tens of millions of dollars during a 24 to 36 month build-out for the entire city. As outlined in the LOI, the Gigabit-speed, fiber-to-the-premise network is designed explicitly to be an open system that welcomes participation from content and service providers of all types. In other words, the fiber would be city-wide — reaching every neighborhood in the community– and would offer any provider access to any premise, through either a dark-fiber or a lit-fiber connection. Smithville, AT&T, Comcast or any other service provider will have access to this network, via fiber connection that will be available on open and equal terms to all. In essence, Axia will build the digital road, and allow anyone to use it to reach your home or business location. In addition, the City and Axia have expressed a mutual commitment to work together to address the digital divide by providing low-cost internet services to some families that otherwise could not afford such access. “In January we outlined three key goals for our high speed network build out, and we sought a partner to help us achieve that. The intent expressed by Axia fulfills each of those goals,” Mayor Hamilton concluded. Bloomington’s digital infrastructure plays a central role in the community’s economic prosperity and quality of life. Robust connectivity is essential for modern businesses, education, the creative arts, healthcare and home life. 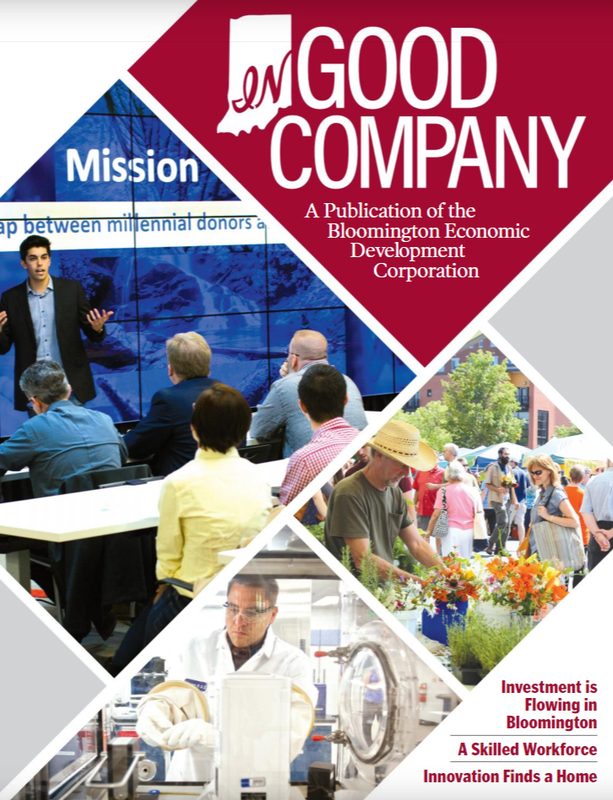 It is also critical for Bloomington to remain competitive as a city and for it to be positioned to take advantage in healthcare, education and smart city innovation.